AstraZeneca has unveiled data from a Phase III extension trial highlighting the efficacy of biologic Fasenra as an add-on maintenance treatment in patients with severe eosinophilic asthma. 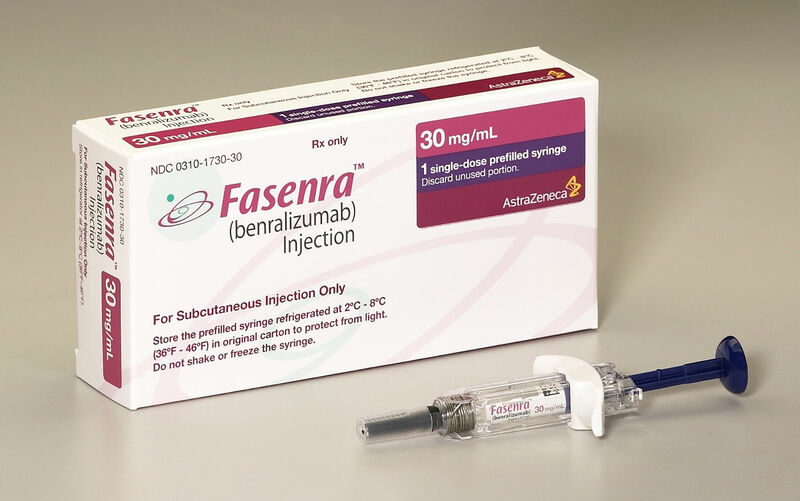 The BORA Phase III extension trial was evaluating the long-term safety and efficacy of Fasenra (benralizumab) in patients who had previously completed one of the two pivotal SIROCCO or CALIMA Phase III trials. In the trial, Fasenra given for an additional 56 weeks and showed a safety and tolerability profile similar to that seen in the earlier trials, “with no increase in the frequencies of overall or serious adverse events,” the firm noted. Also, the improvements in efficacy measures observed with Fasenra in the SIROCCO or CALIMA trials were maintained over the second year of treatment, while patients who were treated with placebo in the trials and subsequently transitioned to Fasenra experienced improvements in efficacy outcomes consistent with previous findings. Seventy-four percent of patients with a certain baseline blood eosinophil count who received Fasenra every eight weeks continuously from SIROCCO or CALIMA and into BORA, were exacerbation-free in BORA in their second year of treatment and maintained improvements in lung function and asthma control, AZ said. “As a clinician, I am excited by the BORA trial results, which provide confidence to patients with severe eosinophilic asthma and physicians that the positive outcomes they are seeing with Fasenra can be maintained over a second year of treatment. In Fasenra, we have a biologic treatment that can improve outcomes for these patients long-term,” commented Dr William Busse, Professor of Medicine, Division of Allergy, Pulmonary and Critical Care Medicine, University of Wisconsin School of Medicine and Public Health, and lead investigator on BORA. Fasenra won European clearance as an add-on maintenance treatment in patients with severe eosinophilic asthma in January this year, on the back of data from SIROCCO and CALIMA, which showed reductions in the annual rate of asthma exacerbations of up to 51 percent, and an improvement in lung function with a change in FEV1 of up to 159 mL, seen at four weeks after the first benralizumab dose and sustained throughout the treatment period.